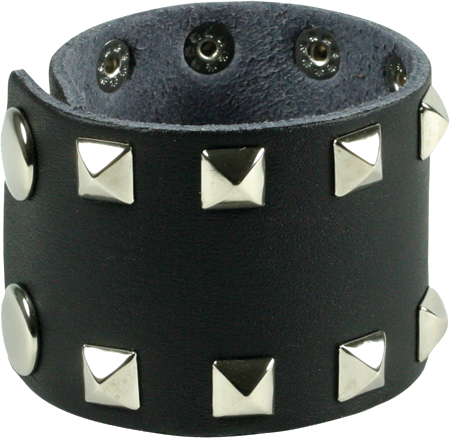 Wide wristband with double row of pyramid rivets. Popper fastening. One size length 5 x 21cm. Black Only.